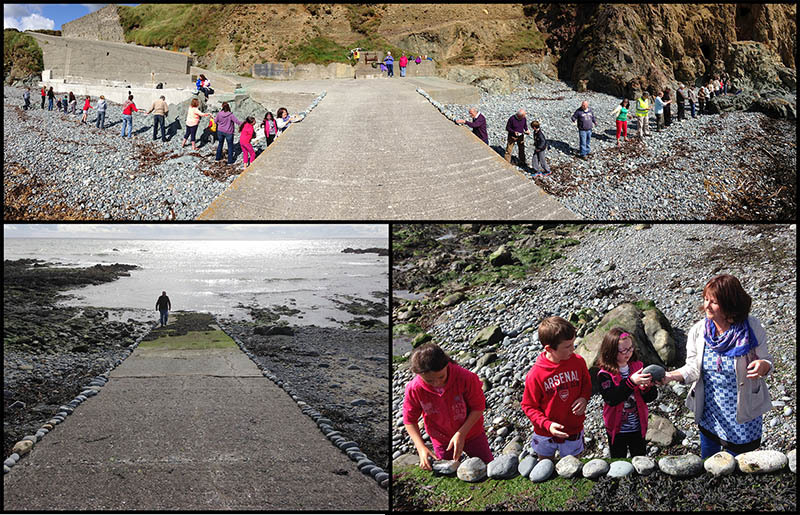 An exciting new group activity is available on Tramore Beach and along The Copper Coast. 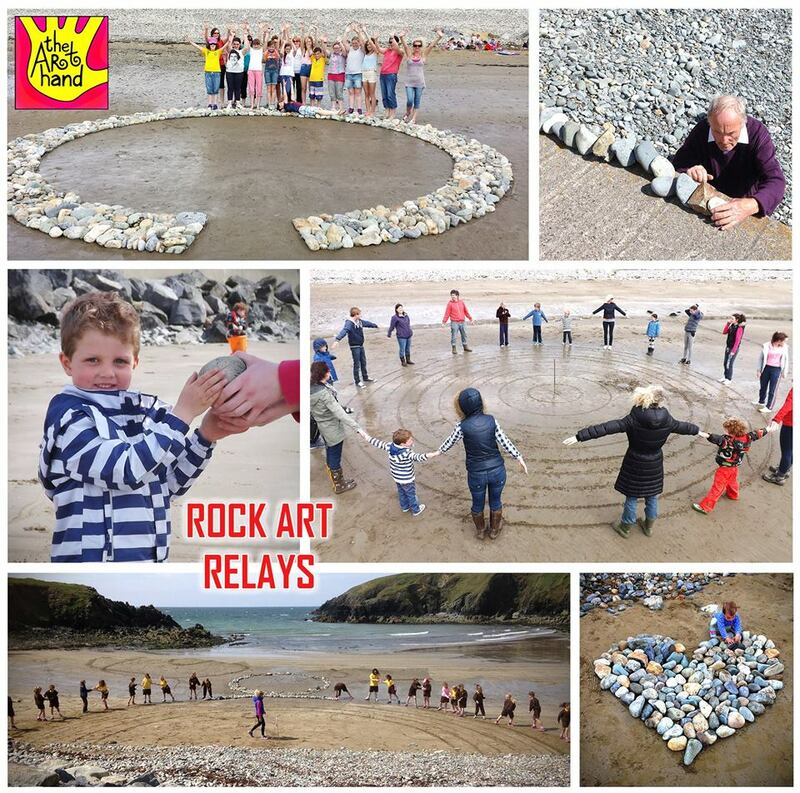 ROCK ART RELAYS consist of making large designs with rocks in the sand by passing rocks from one to another like a relay race! Teamwork is central to these fun and rewarding workshops with artist Sean Corcoran. There is also a unique piece of art to show for all the exertions, even if it is only temporary! These activities suit everything from family reunions, birthday parties and school tours to business outings and corporate team building events. Have you seen the incredible large drawings Sean makes on beaches with a rake? You can even commission him to create something unique. Got something to say? If Sean likes your idea he’ll do it in epic scale! A memento of these events is often captured with photographs, video and time-lapse although the tide claims all in the end. 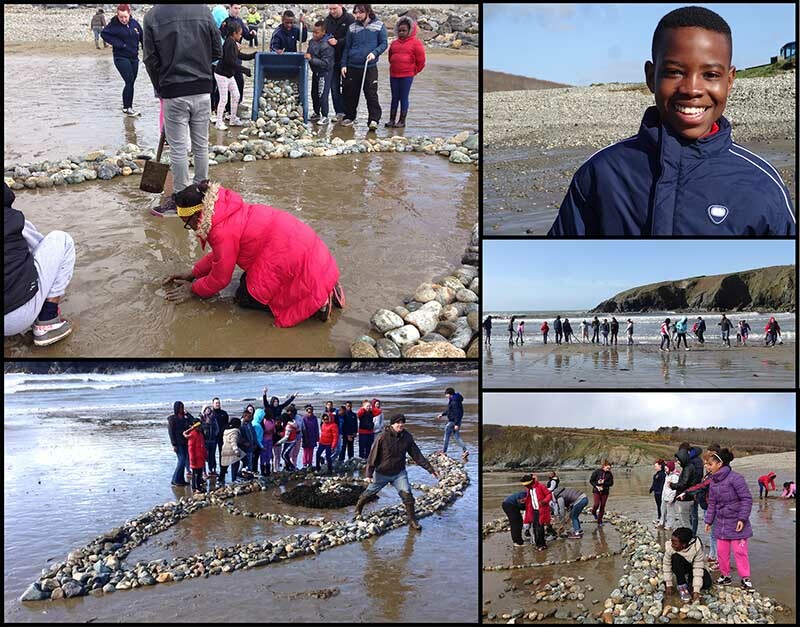 This entry was posted in Beach Art, Land Art, Sand Art, Sean Corcoran and tagged bunmahon, Copper Coast, drawing, environmental art, Event, Ireland, primary schools art, School Tours, Sean Corcoran, The Art Hand, Tramore, waterford. Bookmark the permalink.